Recently, on my walk back to the office after showings, I walked by a corner store that’s open 25 hours a day. Leave it to New York City to have found a way to add more hours to the day! How often do you hear or say, “Where does/did the time go?” or “I could really use some extra hours in the day”? Twenty four hours in a day. Seven days in a week. One hundred sixty-eight hours in a week. Three hundred sixty-five days most years. Where IS the time going? This Harvard Business Review story explores that topic. We’re often told you need to “make” time, a phrase that rankles me. You can’t just make time the same way you make a cake. What one decides to do with time is an entirely different conversation and varies based on any number of factors. Many of us have a calendar available on our mobile devices. It can be easy to account for time when specific meetings or meetups are on your calendar. But what about the numerous tasks that may precede or follow a calendar or task item? Most days, even if I have nothing on my calendar, I still have innumerable things to get done. That’s why it’s important to know how long something takes, or to break it down into micro projects. By doing so, you may discover that you can reclaim time “might” by being more efficient, or by delegating tasks (whether they be personal or business-related). We all know there are apps for just about everything. 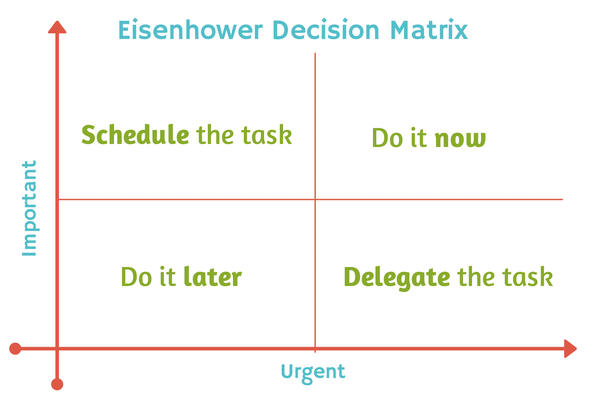 But let’s momentarily take a step back in time to talk about the Eisenhower decision method. This is where tasks are tagged as urgent/not urgent and important/unimportant. From there, they are grouped into the appropriate quadrant and given a specific timing. In some recent designation classes, we’ve had many discussions of what we do daily. There are tasks before, during and after a transaction in addition to the nontransactional elements of our businesses. I’ve also diagrammed several processes to use in consultations with buyers and sellers. But separate from that, it’s incredibly informative to know how long is being spent on each task. In my pre-real estate days, I was able to break down a project to a client so they understood time allocation (and the function of related cost). 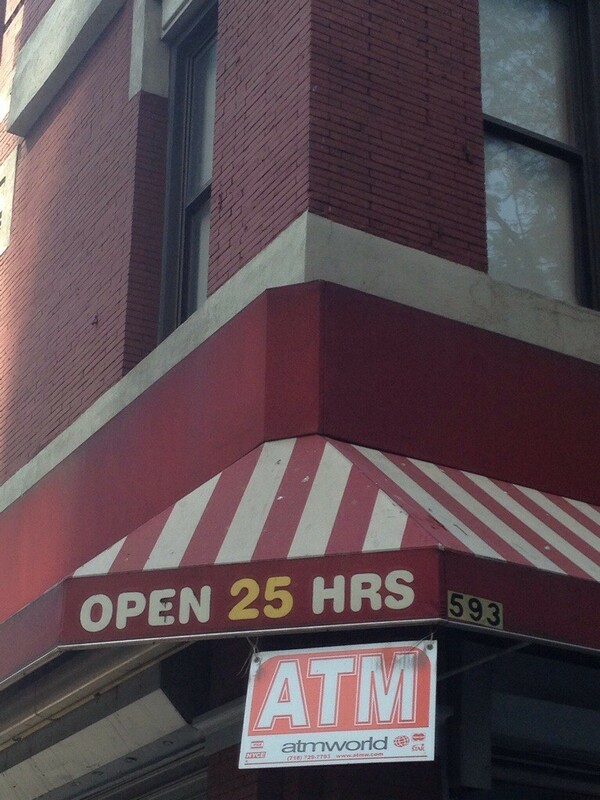 When I walked by that “Open 25 Hours” sign on 10th Avenue (not all that far from where Inman Connect New York 2015 will be held), I wondered seriously how to take on the task of task and time measurement. While musing over this, I came across a review of the recently released time-tracking app, Hours. Given my obsession with knowing how many steps I take in a day, tracking time using an app didn’t seem far-fetched. At first I planned to log things that weren’t in my calendar, but I later decided to log those appointments as well. Because frankly, a seven-hour property tour is worth logging! And by not reporting it, a day might appear empty when really it was filled with a dozen showings. In addition to the real-time logging, I can go back and edit chunks of time. Prime example: I started my clock while dictating this post into Evernote while walking through Times Square last weekend. I turned it on again a few mornings ago (at an hour I won’t publicly admit to). Have I found that 25th hour? Nope. Do I have a clearer picture of where time is going ? So far, yes. Presumably, that will be helpful as I continue to manage tasks. It may be illuminatingly horrifying. Either way, I’m prepared and I have way too many ideas for the “found” time. Do you track your time? How and why? I would love to hear! Nikki Beauchamp is a residential sales specialist with Engel & Völkers in New York City. A former musician, data geek and recovering technologist, she is also an active member of REBNY.